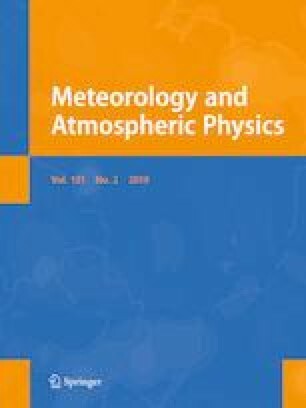 In this study, we examine the seasonal and interannual variability of the North Atlantic (NATL) tropical cyclone (TC) motion from the historical Hurricane Database (HURDAT2) over the period 1988–2014. We characterize these motions based on their position, lifecycle, and seasonal cycle. The main findings of this study include: (1) of the 11,469 NATL TC fixes examined between 1988 and 2014, 81% of them had a translation speed of < 20 mph; (2) TCs in the deep tropics of the NATL are invariably slow-moving in comparison with TCs in higher latitudes. Although fast-moving TCs (> 40 mph) are exclusively found north of 30 N, the slow-moving TCs have a wide range of latitude. This is largely a consequence of the background steering flow being weaker (stronger) in the tropical (higher) latitudes with a minimum around the subtropical latitudes of NATL; (3) there is an overall decrease in the frequency of all categories of translation speed of TCs in warm relative to cold El Niño Southern Oscillation (ENSO) years. However, in terms of the percentage change, TCs with a translation speed in the range of 10–20 mph display the most change (42%) in warm relative to cold ENSO years; and (4) there is an overall decrease in frequency across all categories of TC translation speed in small relative to large Atlantic Warm Pool years, but in terms of percentage change in the frequency of TCs, there is a significant and comparable change in the frequency over a wider range of translation speeds than the ENSO composites. This last finding suggests that Atlantic Warm Pool variations have a more profound impact on the translation speed of Atlantic TCs than ENSO. We thank Dr. Amit Bhardwaj for assistance in helping the first author with the figures and data retrieval. This work was also supported by NOAA Grant NA12OAR4310078.